I have a huge crush on the combination of blue and orange. So when I saw this royal blue and coral, block-colored blouse ($8.99) I had to have it. I paired it with white lace shorts to create three solid blocks of vivid color. The lace shorts add a bit texture. Neutral wedges keep all the color up top. 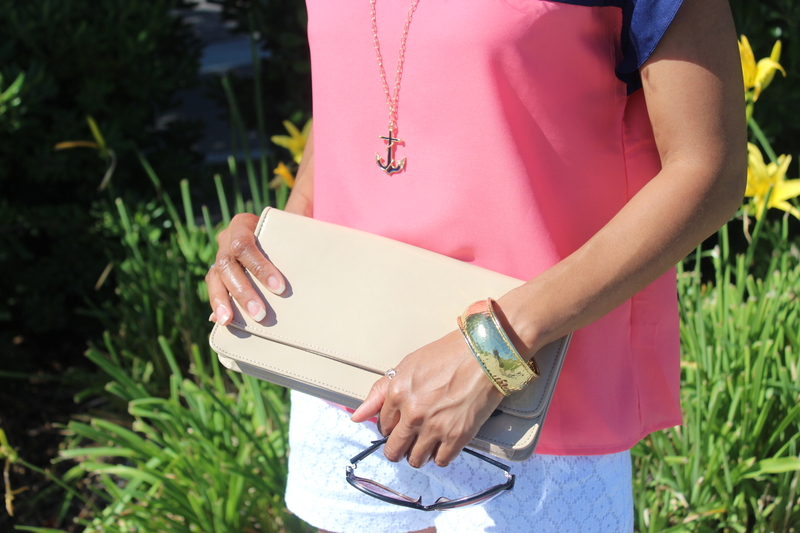 To finish the look, I chose a long gold necklace with a blue anchor charm for a slight nautical feel. Do you have solid pieces in your wardrobe to create a block party?